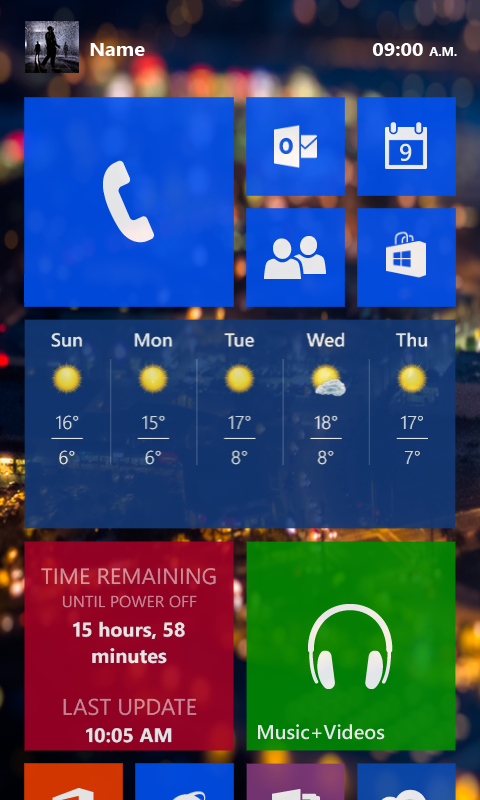 After checking out a Windows 9 concept a few days ago, it’s time to feast our eyes on Windows Phone 9, rendered in 3 shots below.. Transparency is a big deal here and so is social networking apparently. 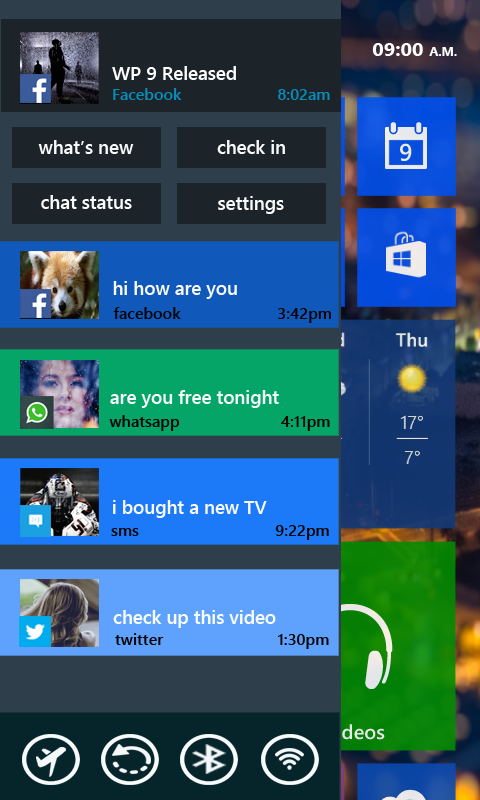 This is a very nice looking change of direction for Windows Phone. As you can see, tiles are now slightly transparent and more vividly colored. 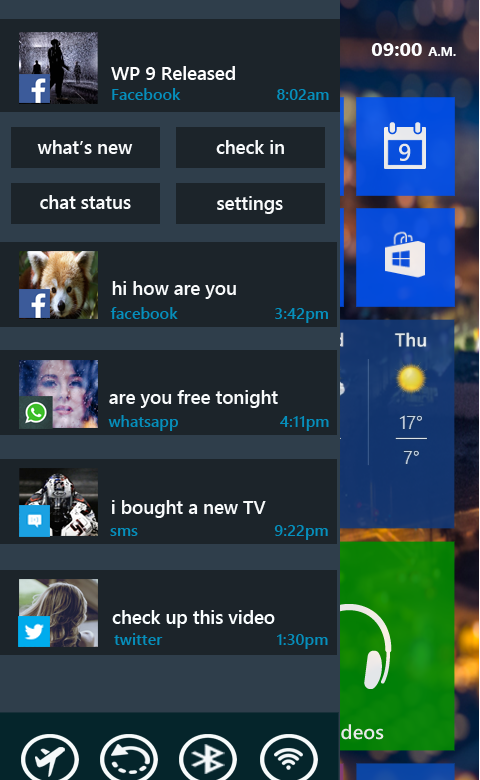 Windows Phone 9 offers quick access to a “Me” page, that will also include options like posting to social networks or interacting with contacts. That area is accessed through a sliding drawer mechanism thingie. That one actually looks very nice and I know exactly where it was borrowed from: BlackBerry 10 OS, but here it’s executed in a better way. The slide out drawer gives you quick access to notifications and allows you to see updates from Whatsapp, Facebook and all those other communication means. I wonder what happens with the other notifications, like texts, app updates, missed calls. Are they also in the sliding area or in another “Action Center” style thing with the shortcuts for connectivity?